When there is a shortage of healthy red blood cells, the amount of oxygen being carried through the circulatory system is insufficient to meet all of the body’s needs. This is called anemia. The condition affects at least twice as many women as men. Among its symptoms are fatigue, shortness of breath, dizziness, depression and cloudy thinking. Because these symptoms have many other possible causes, anemia often goes undiagnosed and untreated. Among anemia’s various causes, the most common is iron deficiency. 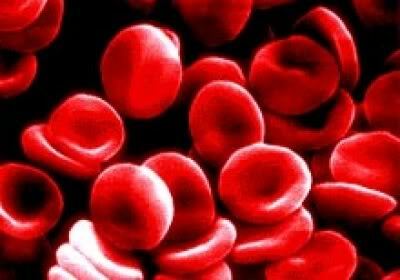 Iron is crucial for production of hemoglobin, a protein needed to form healthy red blood cells. Premenopausal women are particularly prone to iron-deficiency anemia because menstruation and pregnancy drain the body of iron. But: Many women who enter menopause with an undiagnosed iron deficiency continue to be anemic — because their iron stores are never adequately replenished. Others become anemic after menopause due to blood loss — for instance, from a gastrointestinal problem. Self-defense: If you have persistent fatigue or other signs of anemia (see box below), ask your doctor for a blood test called a complete blood count (CBC) to measure hemoglobin levels. At the same time, specifically request that your blood also be tested for ferritin, the primary form of iron storage in the body. Even if your CBC is normal, the more sensitive ferritin test may reveal an iron deficiency. Trap: The so-called “normal” level of ferritin for women is from 12 nanograms per milliliter (ng/mL) to 150 ng/mL — a range so broad that it is nearly useless. Recommended: If your ferritin level is below 50 ng/mL, take action. You may think that the solution is to eat iron-rich red meats, dark green leafy vegetables, legumes, dried fruits and seeds. Providing about 3 milligrams (mg) to 10 mg of iron per serving, these foods do help healthy women meet the recommended daily allowance of 18 mg of iron per day before menopause (or 27 mg during pregnancy) and 8 mg after menopause. However, for an anemia patient, it is nearly impossible to get enough iron from diet alone — because it takes a lot of iron to replenish depleted stores. Protocol: For my female anemia patients, I recommend daily iron supplements at a dosage of 2 mg to 3 mg per kilogram (2.2 pounds) of body weight. For a 135-pound woman, for instance, that is 123 mg to 184 mg of iron daily. After three months, I retest to see if ferritin levels have normalized. Problem: Ferrous gluconate and other commonly prescribed iron supplements often cause nausea, indigestion and/or constipation. Worse, less than half of the iron in such supplements actually is absorbed by the body. Better: Some studies show that a chelated form — in which the iron is combined with an amino acid — decreases digestive upset and increases absorption. Options: Nature’s Plus Chewable Iron with Vitamin C & Herbs (800-645-9500, www.naturesplus.com)… Solgar Chelated Iron (877-765-4274, www.solgar.com)… and FerroSolve, a brand that I formulated (800-624-1416, www.nbihealth.com). A nutrition-oriented doctor can advise you on how much iron to take and for how long. For best absorption, take iron with orange juice or another source of vitamin C. Do not take iron within 30 minutes of drinking tea, coffee or red wine — these contain tannins, compounds that block iron absorption. Iron can interact with and/or reduce absorption of certain drugs, so your doctor should advise you about when to take each dose. Important: If you are postmenopausal, in addition to treating your iron deficiency, your doctor needs to check for underlying causes. Examples: Hemorrhoids, colon polyps and ulcers may cause hidden bleeding that leads to anemia. Caution: Where there is no diagnosis of iron deficiency, the normal upper daily limit for iron is 45 mg. Iron supplements should be taken only with a doctor’s okay — among people with the genetic disorder hemochromatosis, excess iron can lead to joint and organ damage. The second most common type of anemia is caused by a deficiency of vitamin B-12. Seniors are especially at risk because aging diminishes intrinsic factor, a substance in the digestive tract lining that aids vitamin B-12 absorption. Up to 15% of people over age 60 have vitamin B-12–deficiency anemia. Blood tests can confirm the diagnosis. Dietary sources of vitamin B-12 include shellfish, salmon, red meat, eggs and dairy products. However, diet alone generally will not correct this type of anemia… and many oral vitamin B-12 supplements are not well absorbed by the body. Some doctors instead recommend weekly intramuscular B-12 injections, continuing indefinitely in some cases. Pain-free option: Daily sublingual supplements — lozenges placed under the tongue to dissolve — of B-12 may be quickly absorbed into the bloodstream. Good brand: PhysioLogics B-12 Sublingual (800-765-6775, www.physiologics.com). Dosage: 2,500 micrograms (mcg) daily until B-12 levels normalize, or indefinitely if needed. Self-test: Looking in a mirror, gently pull down your bottom eyelid and check the color on the inside of the lid… next, check the inner lining of your cheek. If either is white rather than pink, you may have anemia. If you are not “in the pink” or if you have any of the symptoms above, see your doctor.